There’s no doubt that there is infighting in the Church. Without getting into who is right and who is wrong, Catholics are pitted against each other. This time, it is not just orthodox vs. heterodox. Added to that conflict is a civil war between Catholics professing to be faithful to the Church—indeed Catholics who strove to defend the Church during earlier pontificates—on whether one needs to oppose the current shepherds or whether that is wrong. One of the areas of contention is over the claim that we never had this level of confusion in the Church before (a claim I disagree with). I have a few theories. One of them involves the growth of Social Media plus smart phones allowing us to be instantly misinformed about what is going on with the Church. One who wants to undermine the Church can now reach a global audience as opposed to xeroxed pamphlets shoved under people’s windshield wipers. But that’s only one part of the problem. It doesn’t explain how some stalwart defenders of previous Popes can now turn on the current one. To some critics of the current Pope, they don’t see how one can support him without rejecting his predecessors. Since they know his predecessors taught truly, they believe they have to oppose the Pope today. Yes, St. John Paul II and Benedict XVI did explain boundaries of intrinsic evil. Nobody denies that. But what we forget is they also stressed reconciling the sinners to God, not expelling them from the Church, except for grave issues in hopes that would bring them back to their senses. Like it or not, they did have teachings against unrestrained capitalism and destruction of the environment (in earlier documents, they called it “ecology”). Like it or not, there were bishops who did regrettable things during their pontificates but remained in their positions. There were pro-abortion Catholics who were never excommunicated back then too. We tend to forget these things and that some Catholics bitterly condemned them. It seems to me that Pope Francis takes his predecessors’ teaching on intrinsic evil as a given and has devoted his teaching to emphasize what we overlooked (but was always present) in his predecessors’ teachings—how to reach out to those Catholics estranged from the Church in the hopes of bringing them back. This is why I think some have missed the point of previous papal teaching: We were so concerned with blocking those people actively trying to corrupt Church teaching (and they existed), that we assumed all people who wound up afoul of Church teaching were part of this group. We didn’t consider that some of them might have been badly educated on what the Church taught and why, and might be brought back if we reached out to them. We assumed they made an irrevocable decision and any attempt to reach out to them meant compromising on truth. [Q] Some commentators have interpreted this exhortation as a break, particularly because of its call for the decentralization of the Church. Do you detect a break from your Papacy in this programmatic text? [A] No. I, too, always wanted the local churches to be active in and of themselves, and not so dependent on extra help from Rome. So the strengthening of the local church is something very important. 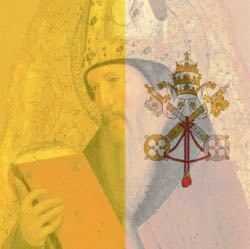 Although it is also always important that we all remain open to one another and to the Petrine Ministry – otherwise the Church becomes politicized, nationalized, culturally constricted. The exchange between the local and global church is extremely important. And I must say that, unfortunately, those very bishops who oppose decentralization are those who have been lacking in the kind of initiatives one might have expected of them. So we had to help them along again and again. Because the more fully and actively a local church itself truly lives from the centre of faith, the more it contributes to the larger whole. It is not as though the whole Church were simply dictating to the local churches: what goes on in the local churches is decisive to the whole. When one member is diseased, says St Paul, all are. When, for example, Europe becomes poor in faith, then that is an illness for the others as well – and vice versa. If superstition or other things that should not occur there were to fall in upon another church, or even faithlessness, that would react upon the whole, inevitably. So an interplay is very important. We need the Petrine Ministry and the service of unity, and we need the responsibility of local churches. [Q] So you do not see any kind of break with your pontificate? [A] No. I mean, one can of course misinterpret in places, with the intention of saying that everything has been turned on its head now. If one isolates things, takes them out of context, one can construct opposites, but not if one looks at the whole. There may be a different emphasis, of course, but no opposition. [Q] Now, after the present time in office of Pope Francis – are you content? [A] Yes. There is a new freshness in the Church, a new joyfulness, a new charisma which speaks to people, and that is certainly something beautiful. Benedict XVI, Pope (2016-11-14). Last Testament: In His Own Words (Kindle Locations 769-787). Bloomsbury Publishing. Kindle Edition. This is the testimony of a Pope emeritus who believes the current Pope to be orthodox and consistent with his predecessors. But many Catholics who praise Benedict XVI seem like they would disagree with his assessment. This is why I have misgivings about the things four cardinals, a group of philosophers, and a mob of Social media critics say—in various levels of politeness—the Pope should answer the dubia. Whether they intend it or not, what some of them really mean is, Answer it so we can see if you are orthodox or heterodox. When one looks at it this way, there is no confusion when the Pope and his supporters say things are already clear. He does intend them to be understood in the light of Church teaching. I believe the way out of the confusion some complain about is not in the Pope speaking differently. Confusion ends when we start assuming the Pope is orthodox and we interpret what he says from that perspective. No Pope will look orthodox if people assume he is heretical. Remember, sede vacantists and the SSPX interpreted St. John Paul II and Benedict XVI as teaching error when these Popes went against their views. The confusion is not about what Pope Francis said or did. The confusion is about individual Catholics on the internet being mistrustful of the Pope. They have interpreted Church teaching in a certain way and anything that does not match that interpretation must be in error. What they don’t ask is whether they misinterpreted the Pope or prior Church teaching. If a critic misinterprets one of these (they often misinterpret both), they will reach a false conclusion. We should start questioning our own interpretations. If interpretations do not correspond to what a teaching is, they are false interpretations. We should look at our own assumptions. If they are wrong, we will be misled. The hard part is, self-deception is easy. Nobody likes realizing they’re wrong and we have ways of shifting the blame to excuse ourselves. But when this interferes with our obligation to seek out and follow truth, that can have dangerous consequences. Just Who is Causing Confusion Here?